Holy cow! That's a lot of pages! While the editor of this series only recently came upon the above quote from 2008, these eyes read no truer words. 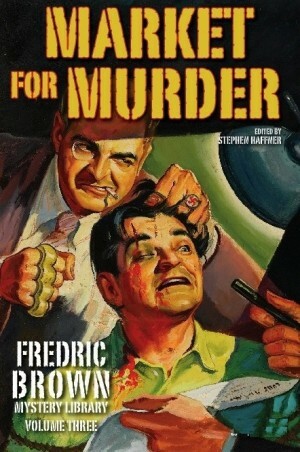 Work has been underway for more than six years assembling the first volumes of the FREDRIC BROWN MYSTERY LIBRARY. Now, the series continues on what is hoped to be the definitive collection of Fredric Brown sans his science fiction works. Assembled in chronological order of publication, this set contains all the short fiction (of all genres: mystery, horror, noir, western, detection, etc.) and all of Brown’s novels (again, excepting his sf works). You’ll be able to enjoy Fredric Brown at his longer lengths from The Fabulous Clipjoint and Night of the Jabberwock to The Lenient Beast and Mrs. Murphy’s Underpants. Assisting with this effort have been Brown bibliographer Phil Stephensen-Payne and Brown biographer Jack Seabrook. This massive undertaking could not have been accomplished without their help.